Micro hooked wool rug is durable and easy to clean. A granite grey ground of short and dense pile is variegated with quartz striations giving subtle elemental texture. 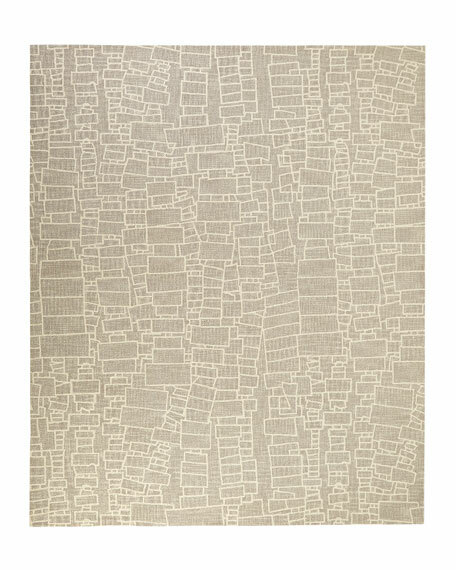 Overlaid with a patchwork grid of paved and stacked architectural shapes, adding a minimal urban vibe. 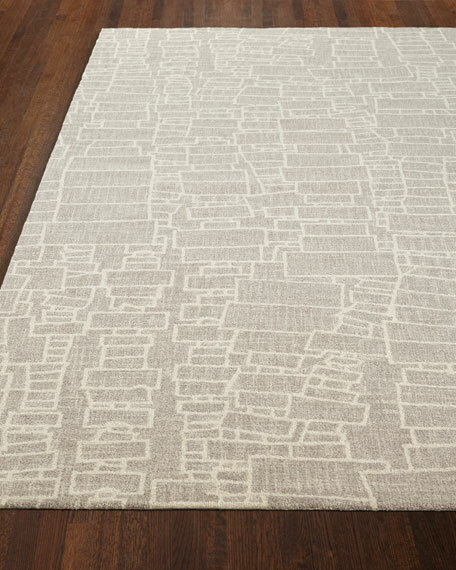 Perfect for high-traffic areas like the living room, kids' rooms, staircases, and the hallway. Recommend use of a rug pad.